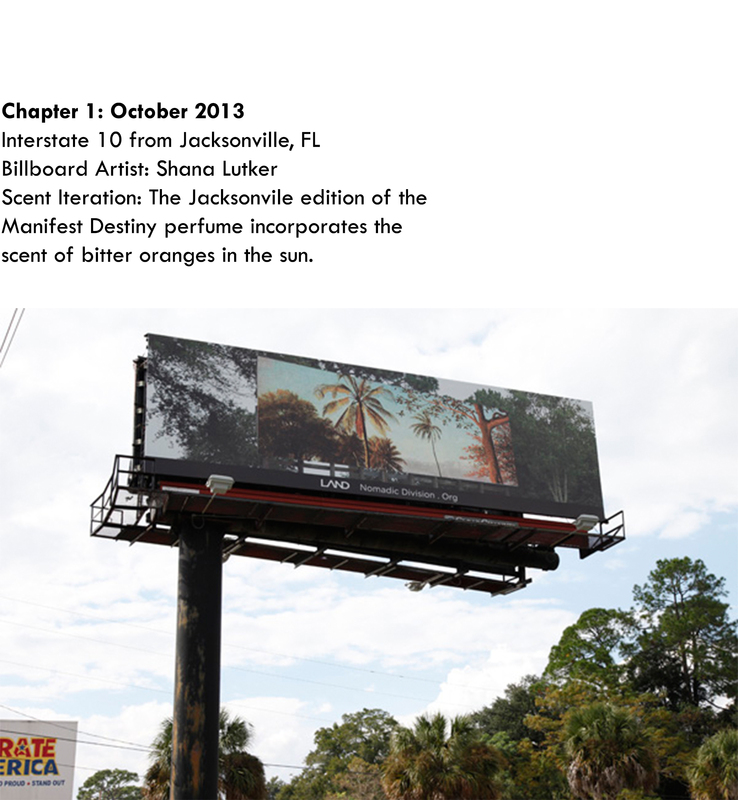 The Manifest Destiny Billboard Perfume – The iterations will take their cue from each segment’s local flora, fauna, or cultural touchstones. 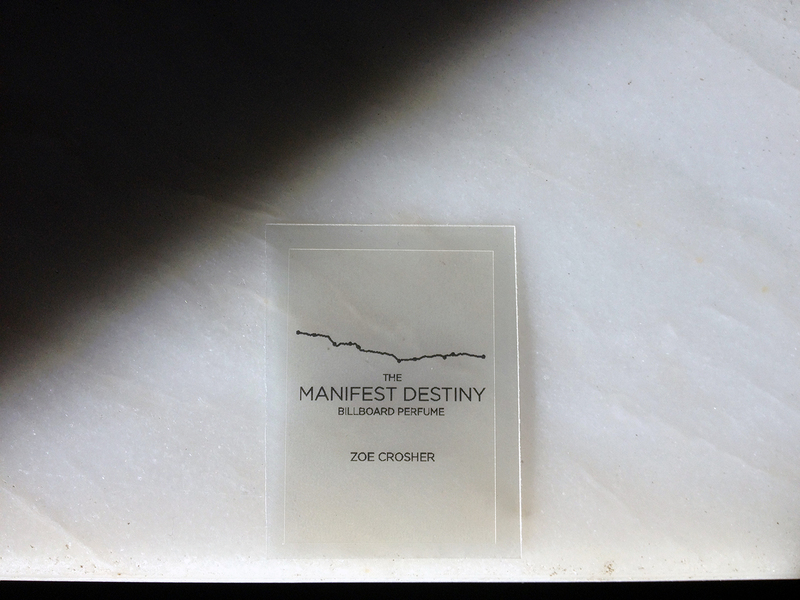 Working closely with Zoe Crosher and LAND, the IAO is composed an edition of scents for each stop along the way. 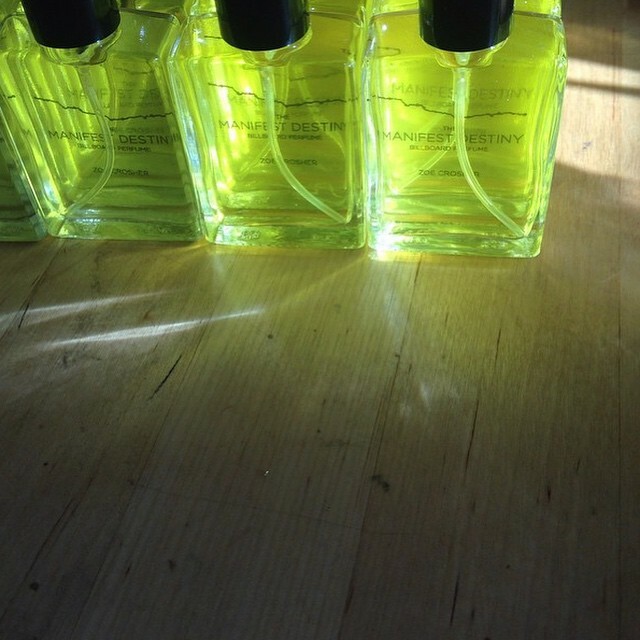 Each iteration will be produced in a limited run of 20 bottles. 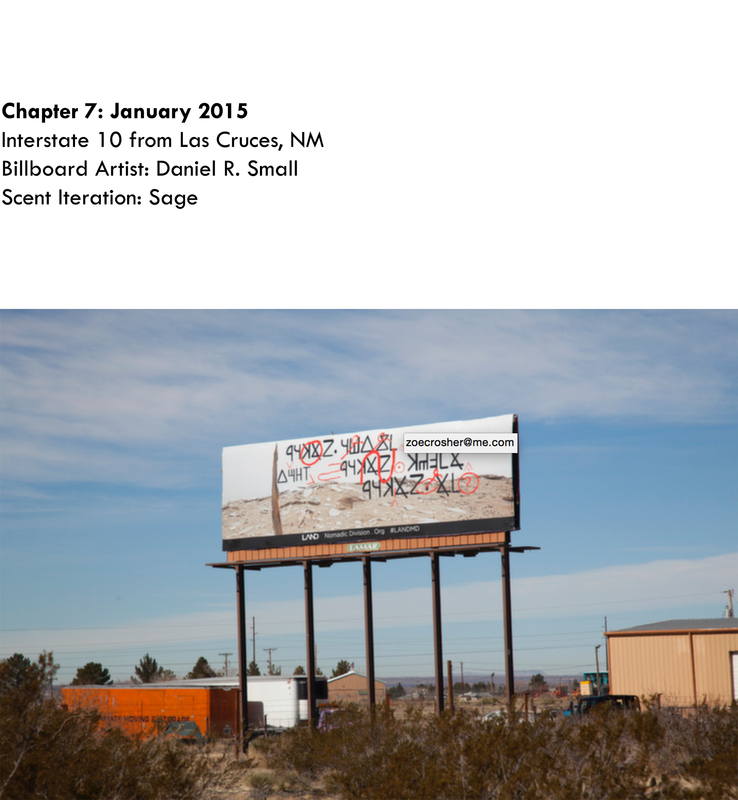 Please see more here. 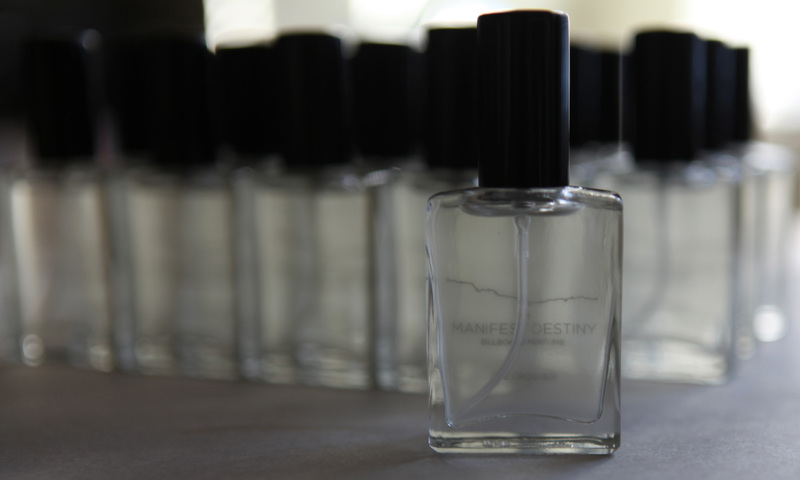 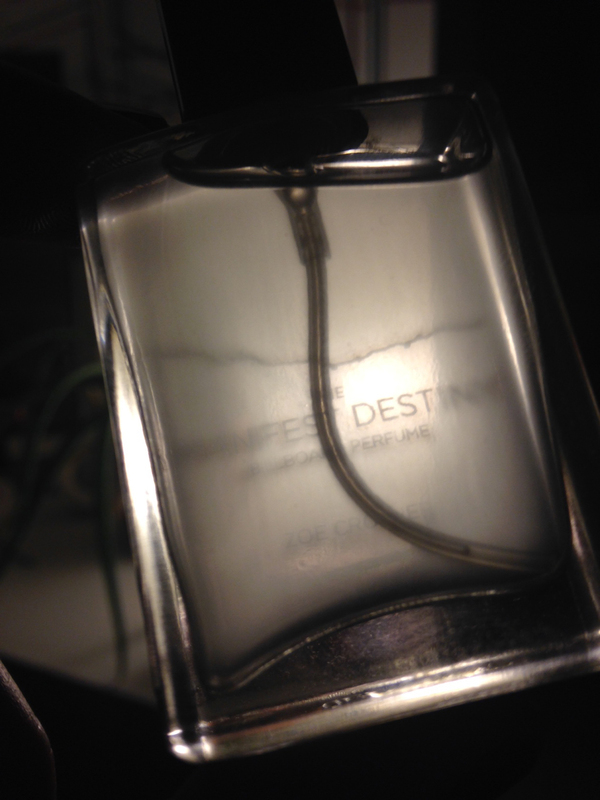 The Manifest Destiny perfume is a site-specific iterative edition of scents that adapts for each stop along the way while retaining the olfactory through line. 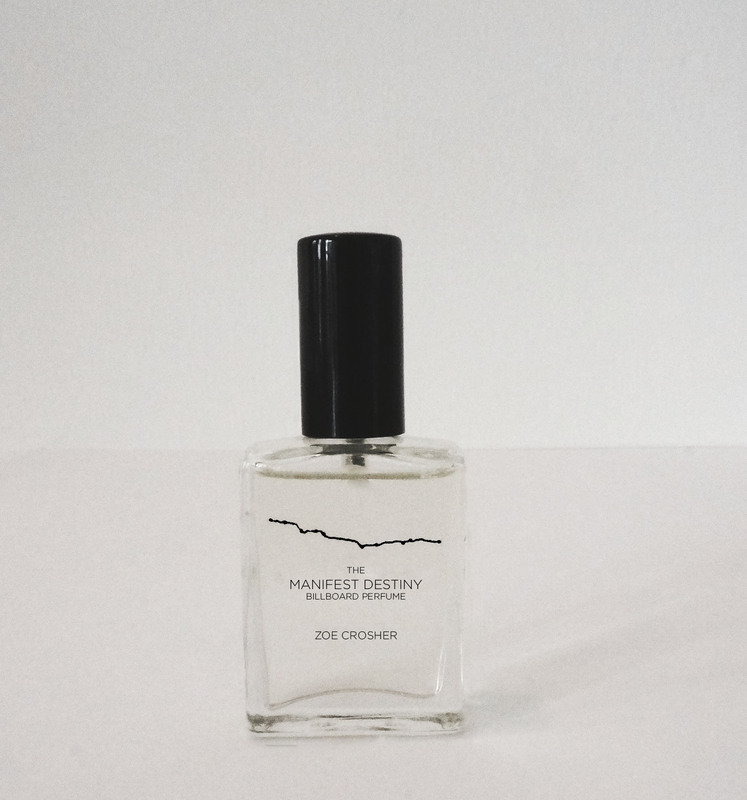 The perfume formula is designed to evoke a hot road trip, and includes notes of sun dust, old car interiors, hot vinyl, electronics, leather, sweat, night blooming jasmine, tobacco, dried pine needles in the summer, foliage in a state of slight decay, and bourbon. 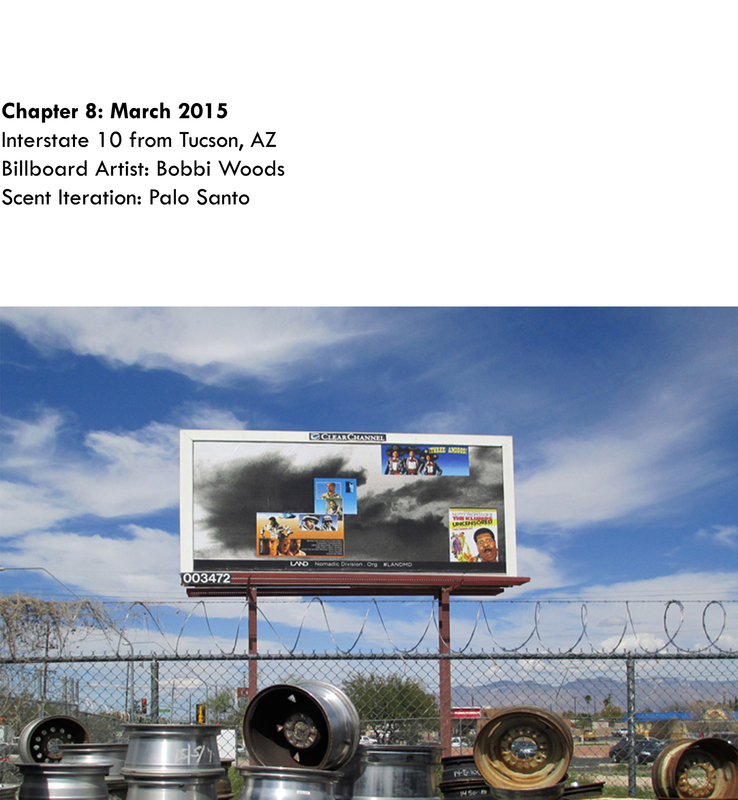 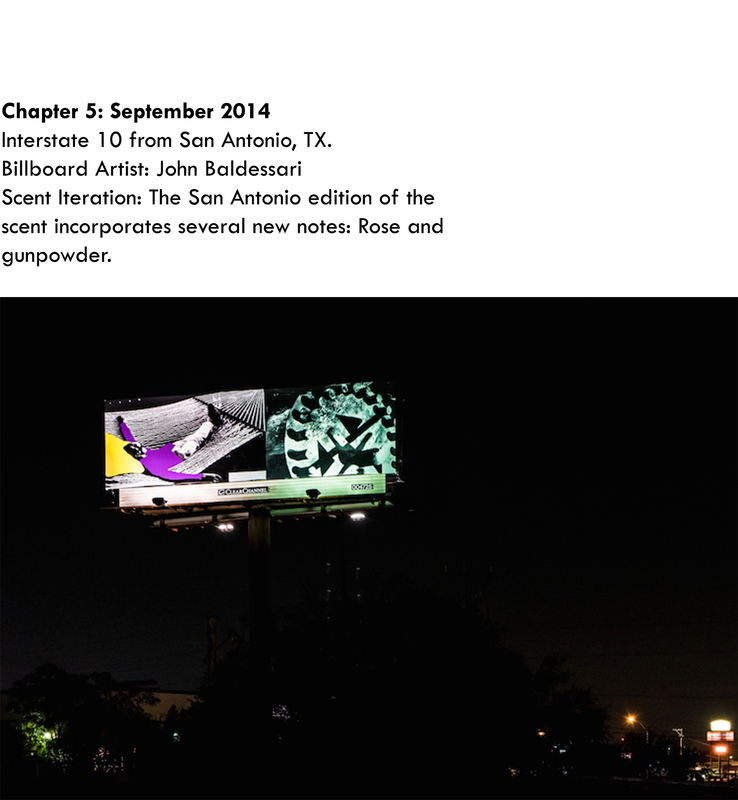 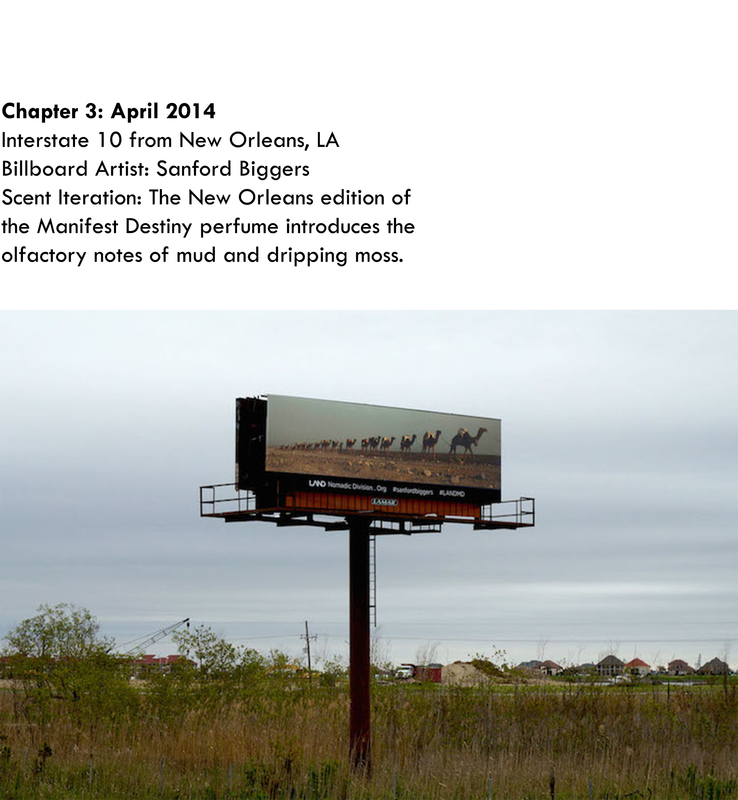 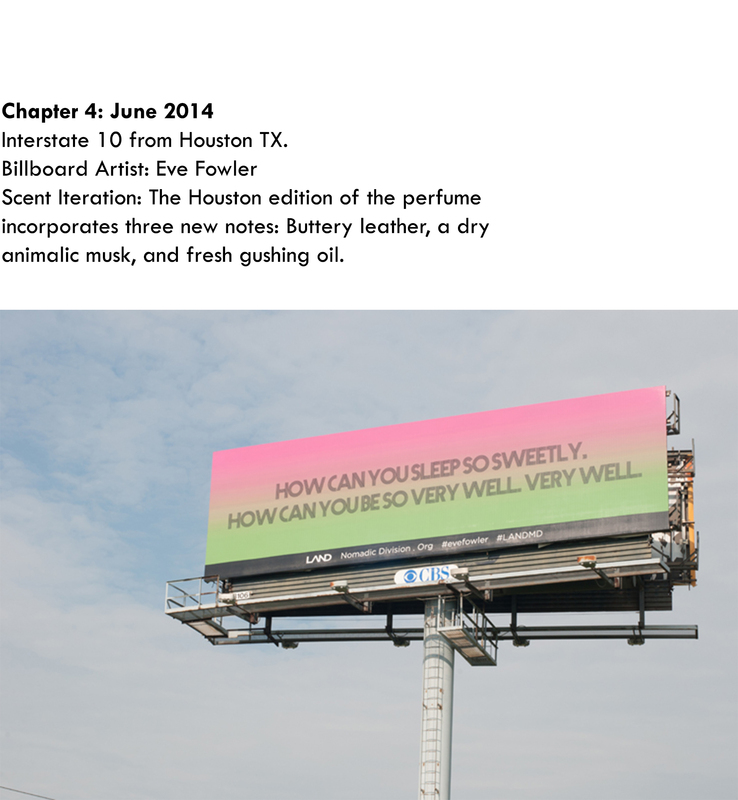 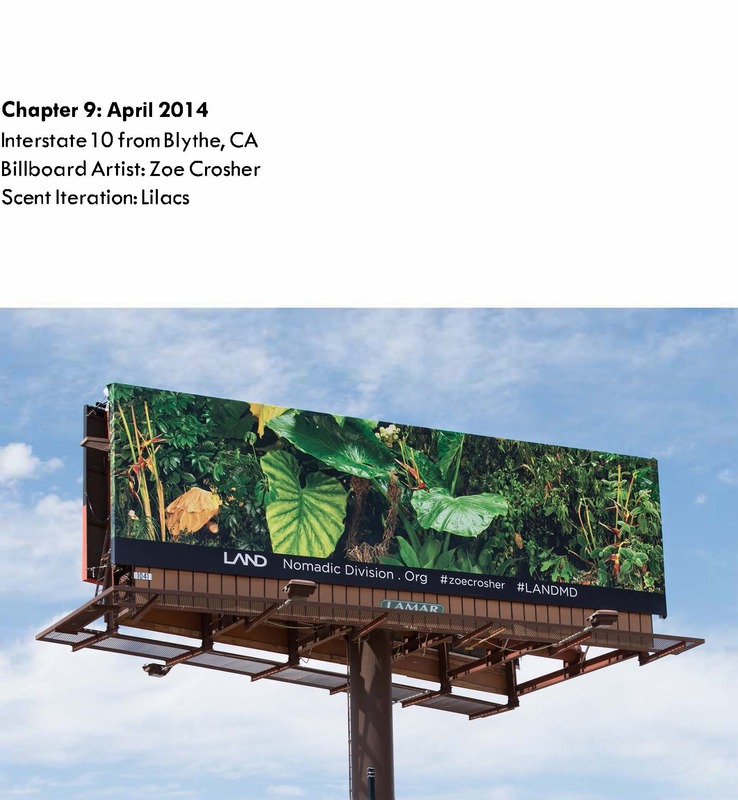 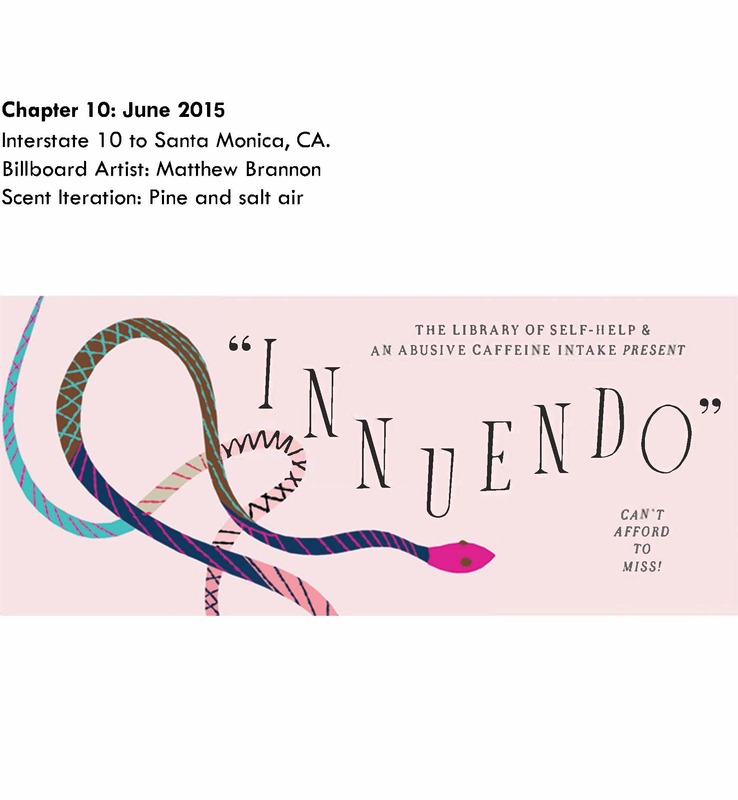 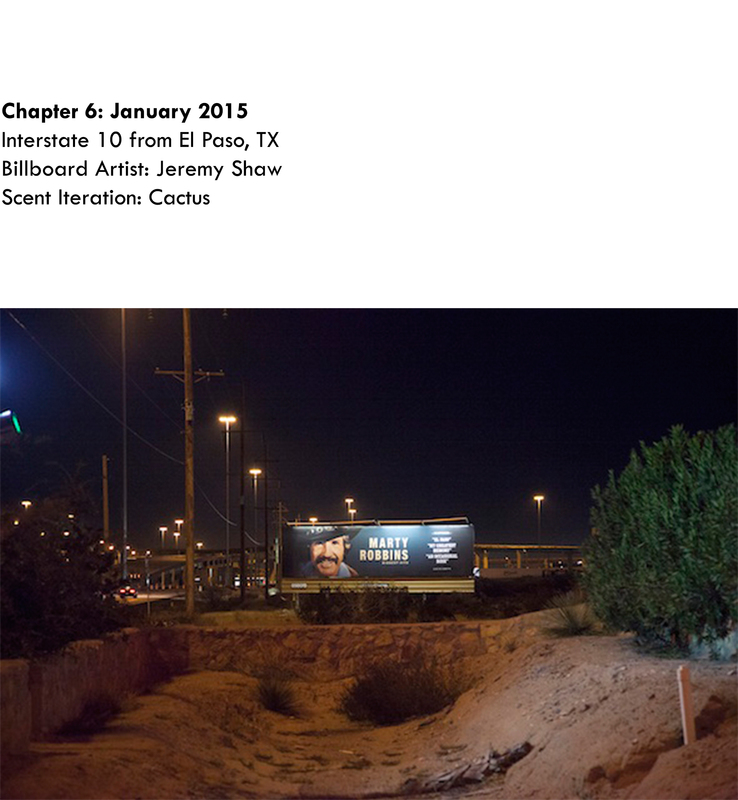 Institute for Art and Olfaction Elevates the Scents, by Ingrid Schmidt - LA Times (2014) Zoe Crosher and IAO have created 10 limited-edition fragrances to signify each stop along the route of the Manifest Destiny Billboard Project. 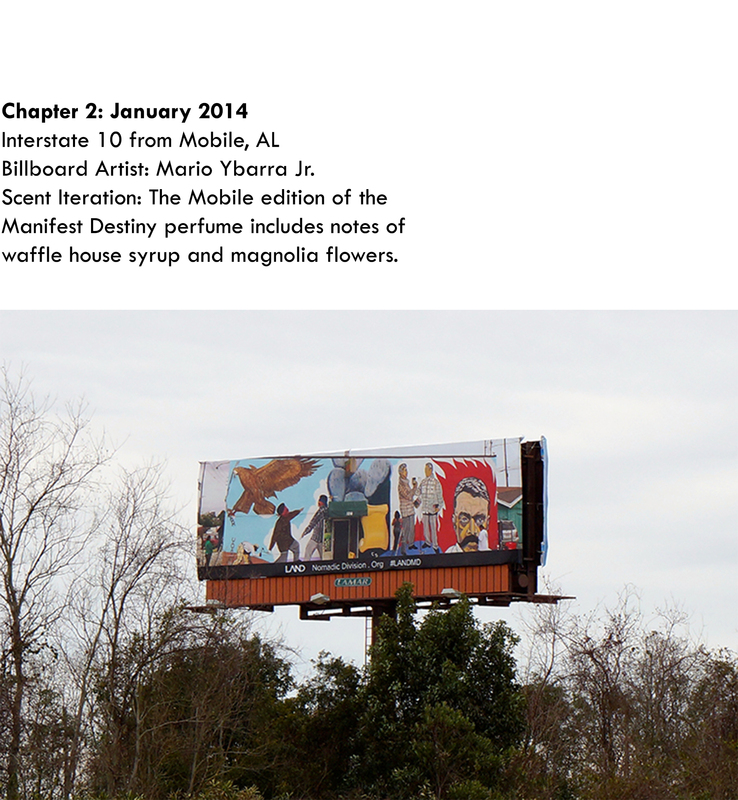 Something in the Air by Steffie Nelson, W Magazine (2013) With perfumed galleries and scent symphonies, artists are hitting the right notes.